The network has a video from the surveillance camera installed on one of the parking lots in the residential complex. 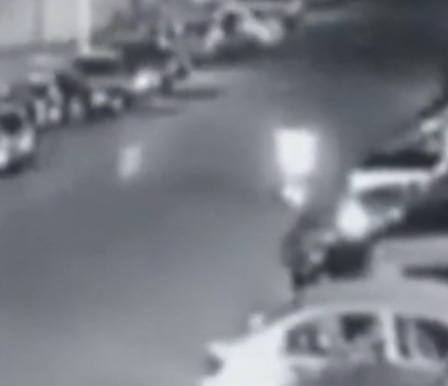 The record shows cars standing by the side of the road in a row, then there is a woman who is heading for her car, but when it comes to the middle of the surveillance camera’s view something more strange appears. From under the car standing at the right shoulder suddenly appears a ghostly white figure, which slowly moves towards the girl walking along the middle of the road. When this something came up in the girl it slowly began to disappear and then disappeared altogether. Many users who viewed this video were puzzled by what they saw. No one can find a rational explanation for what happened and therefore the main version of what happened was that many considered paranormal activity related to the other world.